Branz Hiroo was cancelled earlier this year. Station-front redevelopment projects on hold. Japan’s construction industry is facing an impending crisis as the construction boom brought about by the 2020 Summer Olympics and Tohoku reconstruction is causing construction costs to rise dramatically. The rising costs and severe labour shortage is having a direct impact on apartment development in the greater Tokyo area. 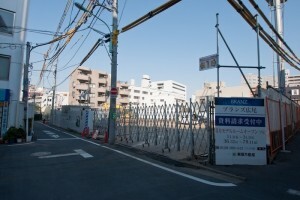 In April, the Odakyu Electric Railway Company announced that they were cancelling their plans to develop a high-end residential neighbourhood on the site of the former Mukogaoka Amusement Park in Tama-ku, Kawasaki due to rising construction costs which no longer make the project profitable. Other apartment developers are also taking a restrained approach. Some that have already acquired development sites are either holding off on construction, leaving the sites empty, or are changing their plans. The difference in the profitability of projects in central Tokyo versus the outer suburbs is widening. In places such as Kanagawa, Saitama and Chiba, the average construction cost is currently around 212,000 ~ 300,000 Yen per square meter – an increase of more than 20% over the past two years. If these conditions continue, it will be exceedingly difficult for developers to achieve a profit. Rising construction costs: Developers are paying careful attention to the rising cost of labour and materials. Shortage of labour: For developers who have obtained finance for their project, a labour shortage could delay a project and increase their debt burden. Land acquisition cost: Developers have to factor in the total project costs, including both construction and land acquisition costs. If one rises, there will be less money to spend on the other. Apartment market price: Developers are limited by the market price and consumer demographics of the area. Change in consumer confidence: Developers also have to consider the risks of consumer confidence dropping due to increases in consumption tax. The typical cost of a condominium development will be comprised of 30% for land acquisition, 50% for construction, 10% for marketing and 10% as profit. Unlike prime areas in central Tokyo, it is not as easy for developers to increase the asking price of apartments in suburbs. As a result, any rise in development costs will eat up any potential profit. As profit margins shrink, more and more projects will be cancelled or put on hold. 77% of construction companies surveyed by Nikkei Architecture in March 2014 expect labour costs to rise by 10 ~ 30% over the next 12 months. 17% expect them to rise by 30 ~ 50%. Despite the steep rise in costs, the rise in the selling price to consumers has not been as severe. According to Tokyo Kantei, prices in central Tokyo have risen but are still being met with demand. Demand in outer suburbs, however, is relatively low and the market may not support an increase in price. As a result, suburban developers are seeing profit margins fall. From April 2014, the consumption tax rate increased by 3 points to 8%. The tax is charged on the building portion of brand new apartments, but is not charged on apartments sold and bought by private sellers, nor is it charged on the land portion of any sale. Buyers of new apartments who signed contracts by the end of September 2013 were able to lock in the 5% tax rate. This led to a last-minute rush in sales activity last year. The rise in the consumption tax rate is leading some buyers to consider apartments on the secondhand market which are not typically subject to the tax. The tax rate is expected to be increased to 10% from October 2015 and some say that this will make conditions even more difficult for developers to raise the price of new apartments. A slow down in the sale of new apartments is already evident. According to the Real Estate Economic Institute, the number of new apartments offered for sale in greater Tokyo in May was down 13.4% from last year. This was the fourth month in a row to see a year-on-year drop in transactions. Meanwhile, the average sale price increased by 4.2% to 722,000 per square meter. This could indicate that developers are showing signs of restraint. Not all developers are pessimistic, however. 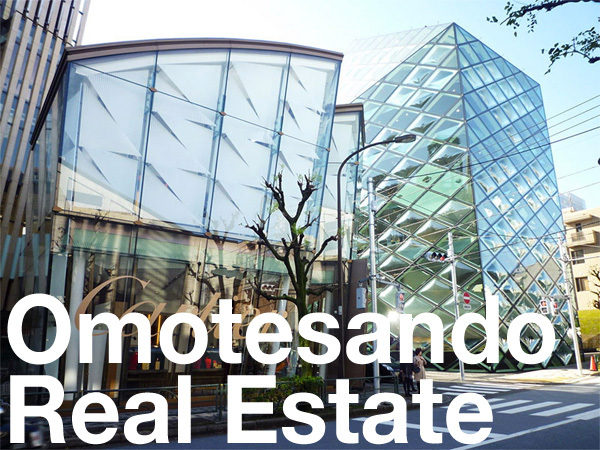 Nomura Real Estate Development began sales of apartments in Proud Tower Tachikawa on July 12. 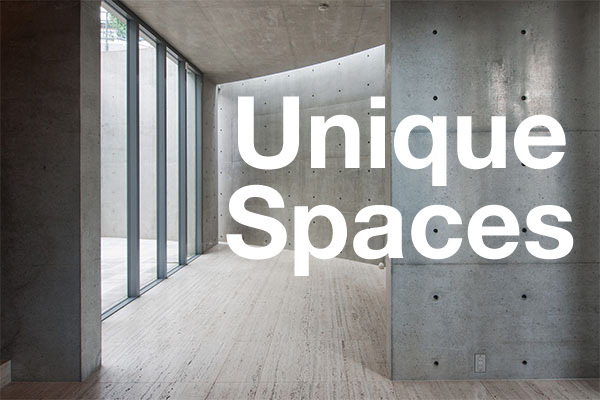 Despite being located in the outskirts of Tokyo, the apartments, which have an average price of 1,036,000 Yen per square meter, are about 18% higher than the average price of a new apartment within Tokyo’s 23 wards. The 32-storey building, which has direct access to Tachikawa Station, has 319 apartments. All 230 apartments offered for sale during the first round of sales sold out on the first day. They were priced from 52.48 ~ 165.98 million Yen. The model room has had over 2,500 groups visit since it opened in May. Jiji Press, July 10, 2014. The Nikkei Shimbun, July 9, 2014. The Yomiuri Shimbun, April 11, 2014. Next Post Next Post: Building age vs. distance from station – which has the biggest impact on rent?